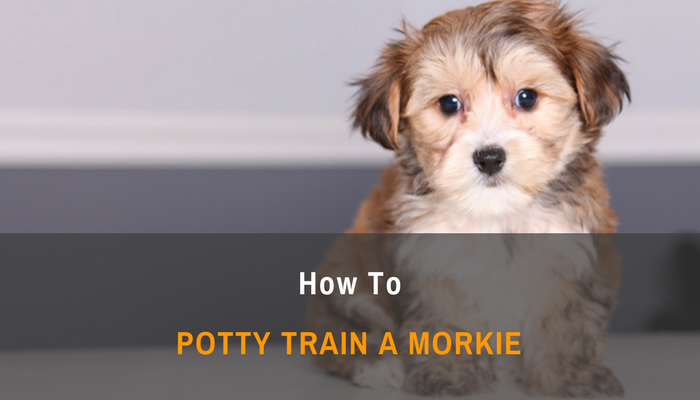 Set aside some time for potty training – When potty training your puppy, you will need lots of patience and extra time to spend with your puppy. Make sure that when you start training, you won’t need to leave to go somewhere else for a period of time. This will interrupt your dog’s training. Set aside a week or so to get your puppy potty trained. Being consistent and present is the key. Get all your things ready – once you have set aside some time to train, it’s time to set up your house to be poop and pee friendly. Morkies are small animals that have small bladders. They don’t have the ability to hold pee in just yet so you’ll have to set up peeing stations (or peeing pads) at shorter distances. Place them in areas where your puppy can easily locate them and relieve himself. It’s always a good idea to set up more than one relieving station so that your puppy won’t accidentally soil himself on his way to the peeing or pooping station. Whether you use synthetic grass or pads as places where your puppy can relieve himself, make sure that it is something that he will like. To learn what your puppy likes, take him outside and see if he does his business in the grass or on harder surfaces. Place similar items such as fake grass around the house if this is what he prefers. Pick the right strategy – prior to training your puppy and setting up the house, pick a potty strategy that will fit your lifestyle. Pick indoor or outdoor potty but not both. Your puppy needs consistency and simple instructions. He can easily get confused if one day you want him to do his business inside and the next day you want him to exclusively do it outside. Feed your Morkie at the same time everyday – again, consistency is the key here. When you feed your Morkie at the same time everyday, with the same amount of food, his bowel movements will become more regulated. When it becomes more regulated, you’ll know exactly when to walk him so he can do his business outside. Taking him out at the same time everyday also helps regulate his bowel movements. Don’t feed your Morkie more than he can handle. Feeding him too much will make his bowel movements harder to track. Use the same phrases to indicate that it’s time to potty – Dogs cannot understand words. What they understand is the tone of your voice. When you say ‘Potty Time’ or ‘Let’s Go Potty’ in the same intonation every time you want him to go, he will associate those tones or words with going to the bathroom. Ask the rest of the family members to use the same tone of voice and same words so that your puppy will know it’s time to go even if you are not around. Confine your Morkie within a small area – if you have a huge house and would not want to keep putting too many peeing stations, you can try to confine your puppy and the potty training within a smaller room where he will not cause too much damage in case he is unable to stop himself from peeing. A smaller room will also make it easy for you to clean your puppy’s mess. Don’t be mad if your puppy accidentally pees – just like little children, puppies cannot control their bladders just yet. They also sometimes pee a little when they get too excited. Do not shame your Morkie or get mad at him. He will feel really unhappy and it will be harder to teach him to potty next time. Don’t make a big fuss out of this simple occurrence. Just move on and do not punish your puppy. 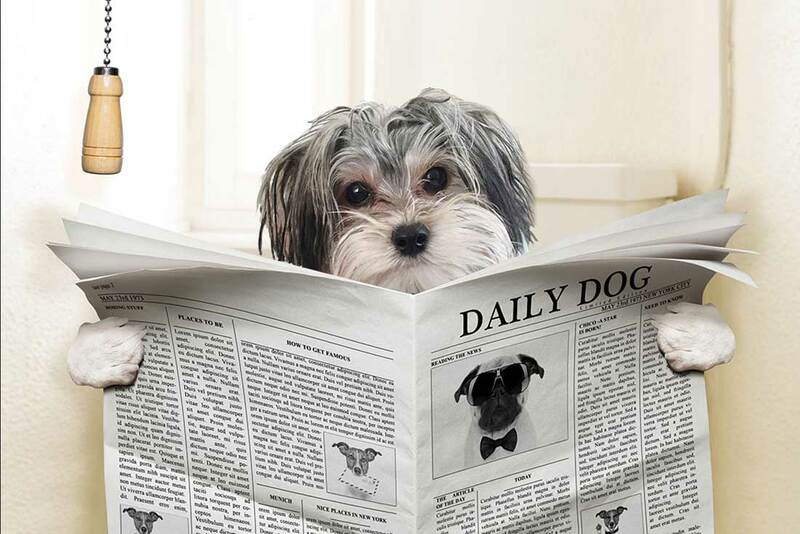 If your Morkie poops or pees at the right place reward him – Morkies are parent pleasers by nature. They always strive to keep their owners happy. They also like the attention that you give them. When your Morkie poops or pees in the right place, you can reward him by giving him his favorite puppy treat. Make a big deal and celebrate when your puppy successfully does his thing at the right place. He will associate the act of pooping and peeing with your happiness. Provide him with positive reinforcement as much as possible. Remember that your Morkie cannot easily understand commands the first time you give them. With patience, time, and a little bit of effort, your puppy will become a potty trained adult dog.